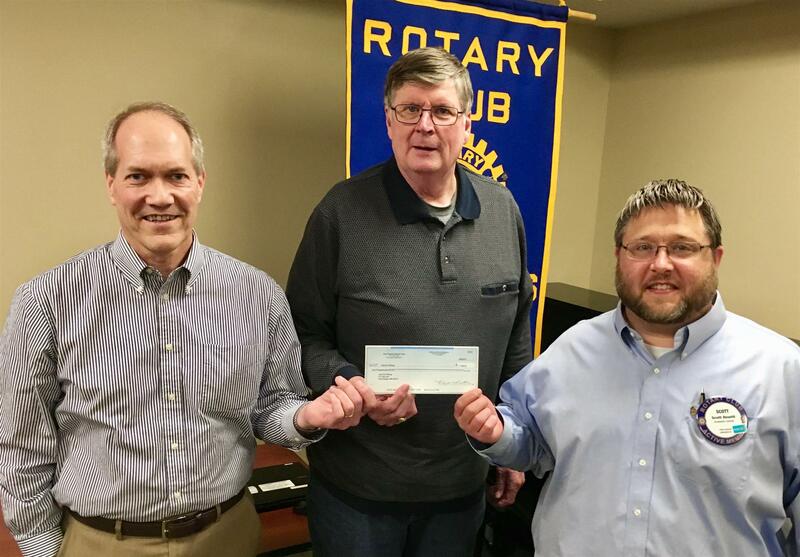 The Park Rapids Rotary Club donated $500 to Let’s Go Fishing Wednesday, April 10. The money will go toward the cost of purchasing a new pontoon canopy. On hand for the presentation were (from left) Kurt Hansen and Stuart Larson, Rotarians who also serve on the Let’s Go Fishing board, and Scott Hewitt, Rotary Club president.